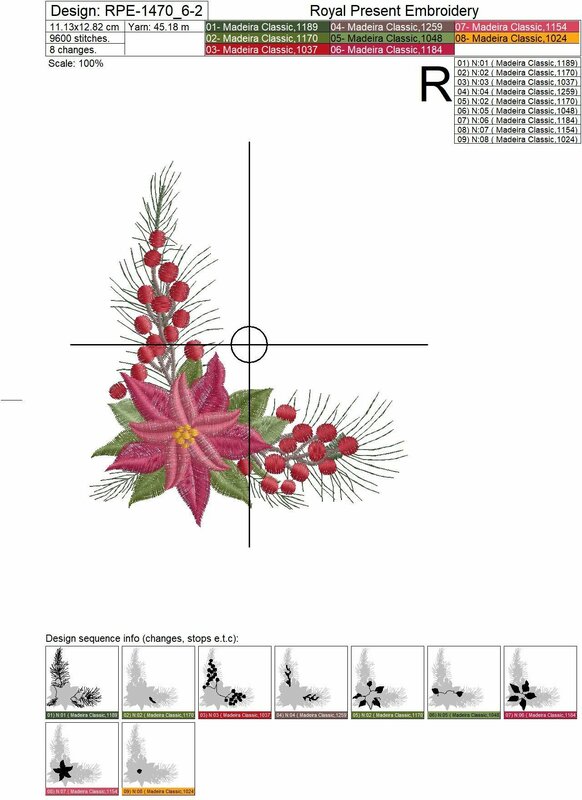 Christmas Corner Embroidery design with Poinsettia will help you to make a Christmas miracle. 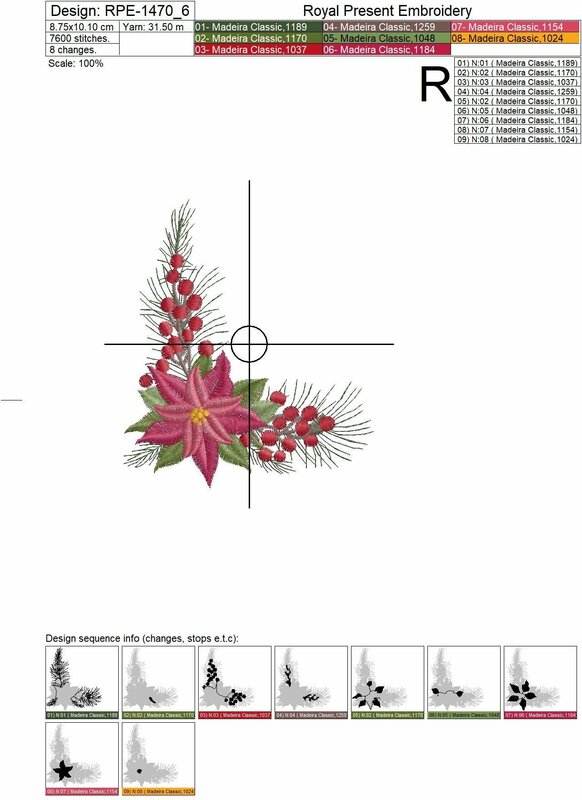 For embroiderers engaged in machine embroidery as a business, this design will also be useful. 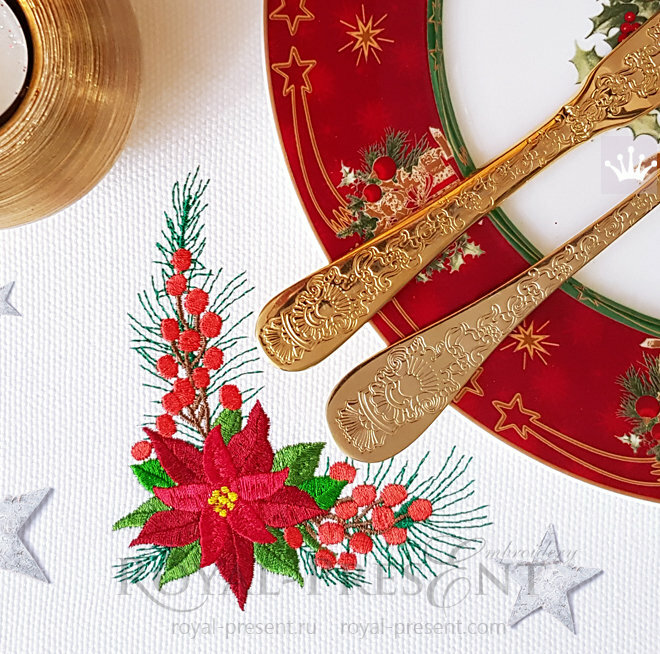 After all, the demand for Christmas embroidery is very large. With this design in the arsenal, you can not only please your customers, but also surprise them. And this, perhaps, is the most important thing.